Apple, AT&T, the FCC and Alphabet’s X division have all put into motion efforts to give residents of Puerto Rico more cellular connectivity. Apple has been working with AT&T to extend and activate cell service for users in Puerto Rico. 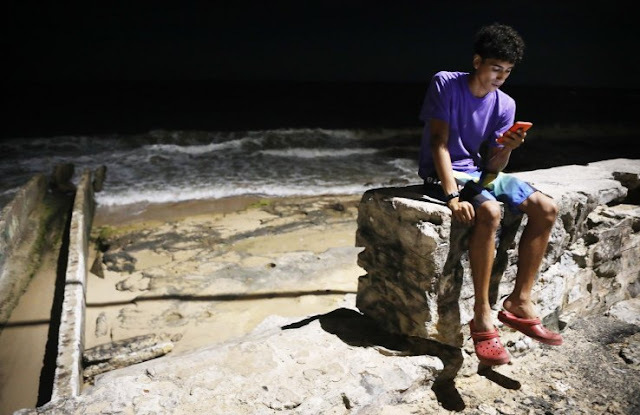 To improve what is a terrible connectivity situation there, it’s going to enable a provisional band of LTE that has been recently approved, but not activated in the US and Puerto Rico, where it has not been licensed. This will allow iPhones to connect to Alphabet X’s Project Loon balloons in the region, which were activated today. This should allow users to send text messages and access some critical online services. To get the new carrier settings on an iPhone, go to Settings>General>About now. You will need to have either WiFi or a cellular connection to grab the file. Once it’s installed, your iPhone will automatically take advance of Band 8 LTE where available. Some Android devices from Samsung and others should be compatible with Band 8 LTE, but all LTE devices are compatible with Project Loon. State owned BSNL has launched their new BSNL Unlimited Plan at Rs. 298 to take on Airtel’s Rs. 399, Vodafone’s Rs. 352 and Jio’s Rs 399 plans. This new plan from BSNL has sparked a new pricing war between telcos. Let’s try and find out, who has the best plan on offer. Under the new Rs. 298 plan, BSNL will offer unlimited voice calls (both STD and local) across all the other networks all throughout India. There’s no limit on voice calls mentioned. But the FUP for data is 1GB per day. Post-completion, it will throttle down to a reduced speed of 80kbps. This plan has a validity of 56 days. 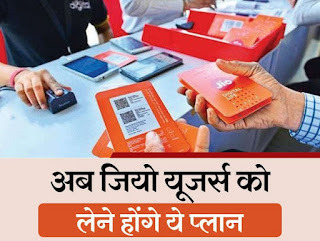 Jio is offering 56GB 4G data for 56 days for prepaid users, with an FUP of 1GB 4G data per day. Post 1 GB, there will be unlimited 2G data at 128 Kbps. All Voice Calls are free of cost. Additionally, you will get unlimited local and STD SMS and access to Jio apps. Jio offers 84GB 4G data for 84 days for prepaid users, with an FUP of 1GB 4G data per day. Post 1 GB, the speed will be throttled down to 128 Kbps. All Voice Calls are free of cost. You will get unlimited local and STD SMS and access to Jio apps. Airtel is giving 70 GB of 4G data for a period of 70 days for prepaid users. You will be get an FUP of 1GB 4G data everyday. Data is chargeable post completion of 1GB FUP. The free calls are limited to other Airtel numbers. There are no free SMS offered in this plan. Vodafone has a Rs. 352 plan which offers a 1GB of 4G data everyday with unlimited calls to all networks for 84 days. It also offers unlimited SMS in a day, plus a discount coupon booklet with a messenger bag. Airtel is giving 84 GB of 4G data for a period of 84 days for prepaid users. The data is limited to 1GB of 4G data everyday, post which the data is chargeable. This plan has unlimited voice calls to all networks. There are no free SMS offered with this plan. Opensignal has come up with a new report, which completely lambasts Jio’s claims regarding 4G speed on their network. The report reveals that Airtel is 3 times faster than Jio, in terms of average 4G speed, and Idea has the worst peak speed among all carriers. This report seems an extension of their earlier report which came out in April 2017, in which Airtel was hailed as the #1 telco when it comes to 3G/4G download speed. However, with the latest report, Opensignal has also attempted to find out the reason why Jio’s performance has come to poor in their report. Note here, that OpenSignal measures mobile internet across the world, based on the data churned out by their 20 million app users. Although this sample size is huge, it cannot be held as the final proof of Internet speed among mobile carriers. But yes, their explanation certainly has some sound logic. Opensignal Results: Airtel Is 3 times Faster Than Jio! a) With 56.9 Mbps speed, Airtel Is #1 In Average Peak speed ranking among all telecom operators, meanwhile, Jio comes at #2 with 50 Mbps average peak speed. In this ranking, Idea has been ranked as the worst telecom provider, with 29.8 Mbps average peak speed. Vodafone is at #3 with 36.5 Mbps average peak speed. On an average, 11.5 Mbps is the average mobile internet speed in India. This means Airtel is providing 5x of the average speed in the 4G network. b) When it comes to average download speed, then it becomes interesting. Jio’s speed has been found to be 3 times slower than Airtel, which has recorded 12 Mbps download speed in the 4G network. Both Idea and Vodafone have almost same speed at 9 Mbps. The findings have been taken out from OpenSignal users’ app records between the period December 2016 and February 2017. In the report, OpenSignal has admitted that no doubt Reliance Jio has installed state of the art infrastructure for making their network super fast and super efficient. But, as OpenSignal states, every mobile network in the world is basically a shared resource, and the particular speed at a particular time on a particular mobile can be based on so many factors – primary being the number of users, and the amount of data being used. Now, as per the report, Reliance Jio has been providing almost free data for a large number of users (100 million at last count), for a prolonged period of time. This is putting pressure on their network, and as a result, their average download speed is three times slower than Jio. On the same hand, the peak average speed is second only to Airtel, which means that when conditions are favourable, Jio has the capability to beat even the best in speed. 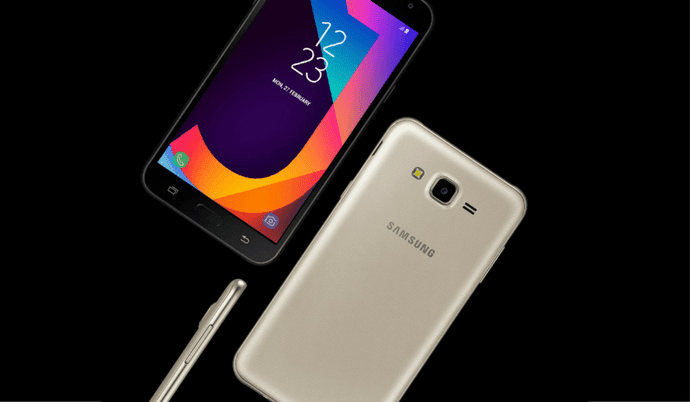 As we exclusively reported earlier this week, Samsung has officially launched its new Galaxy J7 NXT today in India for Rs. 11,490. This is the most affordable J-series smartphone to feature Super AMOLED display. The textured back panel gives a nice grip to hold on to the device. Since there is no NFC support, the device misses the Samsung Pay support. While the power button is on the right edge, the volume rocker can be spotted on the left side of the device. Beneath the display is the physical home button with two capacitive navigation buttons on either side of it. The Galaxy J7 NXT will be priced at Rs. 11,490 and packs decent specifications to compete against the Chinese brands. As seen on the Galaxy J7 2016, the Galaxy J7 NXT also sports the same 5.5-inch Super AMOLED display with HD (1280 x 720 pixels) resolution. It comes powered by an unknown Exynos octa-core processor clocked at 1.6GHz. We expect it to be the Exynos 7870 SoC that also powers the Galaxy J7 Pro & J7 2016. There is 2GB of RAM and 16GB of internal storage that can be further expandable up to 256GB. Earlier: July 19th, 2017 – Last month, Samsung launched the Galaxy J7 Pro and Galaxy J7 Max smartphones in the Indian market. While the Galaxy J7 Pro supports Samsung Pay, the company debuted the Samsung Pay Mini with the Galaxy J7 Max in India. Now, the company is getting ready to launch yet another smartphone under the Galaxy J7 series. According to our exclusive source, Samsung will be launching the Galaxy J7 NXT (SM-J701F/DS) smartphone tomorrow in India. Even the Samsung Galaxy J7 2016 launched in May 2016 also came with the same model number. Talking about the cameras, there is a 13MP rear shooter with f/1.9 aperture and a 5MP selfie shooter with f/2.2 aperture. With the larger f/1.9 aperture, the rear camera on the Galaxy J7 NXT should give better output in low-light conditions. Both the front and rear cameras on this device are accompanied with LED flash. It is backed by a 3,000mAh removable battery that should give at least a day long battery life. Interestingly, the Galaxy J7 2016 with the same form factor featured slightly bigger 3,300mAh battery. It runs on the latest Android 7.0 Nougat with the customized TouchWiz UI on top. We also expect to see the S-Bike, Ultra Data Saving, and Ultra Power Saving modes. The device comes in Black and Gold colors and will be sold through offline channels across India. Reliance Jio might have announced their glorious Rs. 500 4G VoLTE Feature Phone today at their annual general meeting (AGM), but before you make a decision of buying a 500 rupees Feature Phone, you can better grab a ‘smartphone’ with just a few thousand bucks extra. Undoubtedly, the Rs. 500 Jio 4G VoLTE Feature Phone will help a huge number of people, but to make full use of the 4G, you need a smartphone! Made by Intex, Cloud Q11 features 1GB RAM, an 8MP rear camera with a 2800 mAh battery. It runs Android Marshmallow 6.0 out-of-the-box powered by MediaTek 6737 V/W Quad Core Processor. The device has a 5.5 Inch HD IPS Display, and the screen quality is at par with some of the higher budgeted handsets. It houses in 8GB of onboard storage which can further be expanded up to 32 GB. The primary camera with 8MP takes decent pictures, though don’t expect much from the camera sensor. Xolo Era 1X runs Marshmallow 6.0, powered by 1.3 GHz Quad Core Spreadtrum Processor with a 8 MP Rear camera and 2500 mAh Battery. The device sports a 5 inch HD IPS display with a colour density of 294 PPI. The quality of the display is really good and the device runs Marshmallow 6.0 offering a near-stock Android experience. It works well while multitasking and can handle moderate games with ease. Packing in 1GB of RAM and 8GB of onboard storage, which can further be expanded till 32GB, the device has an 8-megapixel rear shooter, LED flash and 4P Largan Lens. It can shoot slow-motion videos, Time Lapse Videos, take Live Photos and cast screen. Even the 5-megapixel front camera has a Dual LED flash. Both primary and secondary camera is really good considering the price point. It houses in a 2500mAh battery which does a decent job with normal use. Xolo Era 2 features 1GB of RAM, a 5MP shooter on the back, runs Android Marshmallow 6.0 and is powered by 1.3 GHz Spreadtrum Quad Core Processor. The onboard storage is good enough to keep in the basic apps and games. The 5-megapixel shooter on the back has a LED flash and the 5-megapixel front camera also has a front flash. The camera is a decent camera and it supports 4G VoLTE. The device packs in a non-removable 2350 mAh battery. Sansui Horizon 2 features 2GB of RAM, an 8MP rear shooter and run Android Nougat powered by 1.25 GHz MT 6737VW Quad Core Processor. Horizon 2 will come with a 5 Inch High Definition (HD) IPS display and the quality is good and a value for price offers. The device will be running Android Nougat 7.0 out-of-the-box and is the only 4G smartphone under 5000 to run Nougat. The overall software performance is better and does handle tasks with ease. The device has 2GB of RAM and 16GB of onboard storage which can further be expanded up to 64 GB. It is also the only mobile to have 2GB of RAM under Rs. 5000 with the 4G VoLTE support. 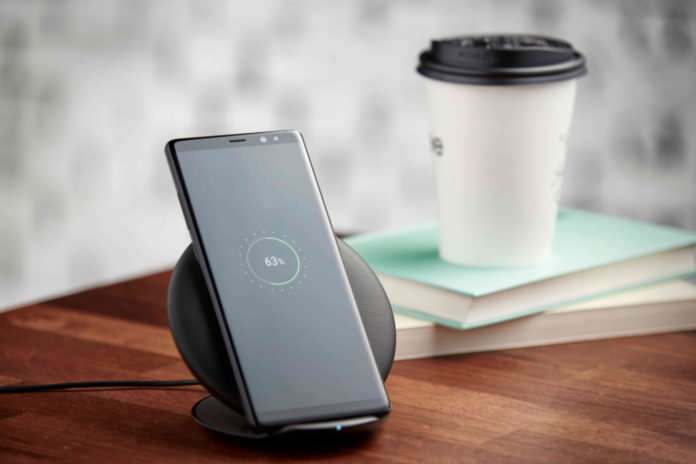 The only Samsung device on the list, features 1GB of RAM, a 5MP rear camera, 1500 mAh battery and runs Tizen OS 2.4, powered by 1.5 GHz MediaTek Quad Core processor, which does an average job with the multitasking. It packs in 8GB of onboard storage which is further expandable up to 128 GB via an external memory card. It has a 5-megapixel shooter on the back with a simple VGA camera on the front. The battery is decent but works fine with normal use. LYF has many budget 4G smartphones, but LYF Flame 8 is their best bet under 5k. With 1GB of RAM, an 8MP rear shooter on the back, the device runs on Lollipop. The device does a decent job while performing normal to basic tasks. It can play down high-end games with minimal lags. The 8MP shooter on the back has a LED flash. The primary camera is average. The device has 8GB of onboard storage, which can further be expanded up to 128 GB. K9 Smart runs Marshmallow 6.0 with an end-to-end bloatware experience. It is powered by MediaTek MT6582M Quad core processor clocked at 1.2 GHz. It can work out on a good number of tasks and is good with multitasking. With a huge 5 inch display, the phone loads in 1GB of RAM and has 8GB of onboard storage. It has a 5 MP shooter on the back with LED Flash and 5MP front shooter. The phone packs in a 2300 mAh battery. 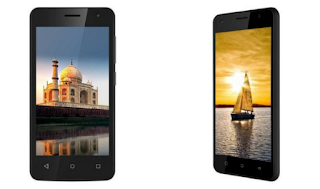 The Chinese smartphone manufacturer iVoomi has now launched two new smartphones in India. These two devices are called Me4 and Me5 and both of them are priced very competitively in the country and are targetted towards the people who are interested in buying a budget centric smartphone. The Me4 costs 3,499 INR whereas the Me5 costs 4,499 INR. As far as the availability is concerned, both of them will be available exclusively via Flipkart. The iVoomi Me5 is also a dual SIM smartphone which packs 5-inch HD display which means it has a resolution of 720×1280 pixels. This smartphone is powered by a quad-core SC 9832 processor clocked at 1.2GHz and it is coupled with 2GB of RAM. This variant packs 16GB of internal storage, which is further expandable upto 128GB via a microSD card. This smartphone also supports 4G VoLTE to work with Jio. Talking about the optics, there is an 8MP primary sensor at the back, whereas the on the front, there is a 5MP sensor. There is also a 3,000 mAh battery powering this smartphone from the inside. Both the smartphones are running on Android 7.0 Nougat out of the box. As mentioned earlier, if you are interested in buying either of these smartphones, then you can get it from Flipkart. The iVoomi Me4 comes in Champagne Gold, Black, and Dark Grey colors, whereas the iVoomi Me5 comes in Champagne Gold and Black colors only. Having said that, we would like to know your thoughts on this. Would you be interested in buying either of these smartphones? Be sure to let us know your thoughts on this by leaving a comment down below. The iVoomi Me4 is a dual SIM smartphone which sports a 4.5-inch FWVGA display on the front, which has a resolution of 480×854 pixels. Internally, it is powered by a quad-core processor clocked at 1.1GHz and this is coupled with 1GB of RAM. It also has 8GB of internal storage which can also be further expanded upto 64GB through microSD card. The smartphone supports 4G VoLTE to work with Jio in the country. Coming to the camera, the Me4 comes with a 5-megapixel rear camera with LED flash and on the front, there is a 5-megapixel sensor as well. The entire package is kept powered by a 2000mAh battery. Xolo has launched a new entry-level smartphone called Era 1X Pro in India. 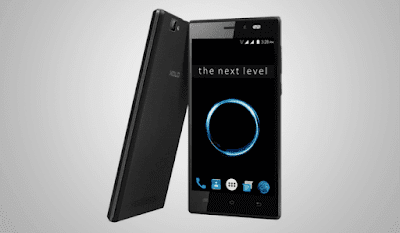 It is an upgraded variant of the Xolo Era 1X which was first launched in September last year. The Xolo Era 1X Pro comes with a price tag of Rs. 5,888 and is sold exclusively through Snapdeal. It sports a polycarbonate shell and comes only in Black color option. If you purchase this device before the July 31st, the company will be offering 365 days screen replacement offer for free. Compared to last year’s Era 1X, the new Era 1X Pro comes with a couple of changes. It still runs on Android 6.0 Marshmallow out of the box with the customized UI laid on top. On the rear is an 8MP autofocus rear camera with f/2.4 aperture and 4P lens. For selfies, the Era 1X Pro features a 5MP front camera with f/2.2 aperture. Interestingly, the front camera comes with dual LED flash while the rear camera settles for a single LED flash. The Era 1X Pro supports dual SIM dual standby and offers 4G LTE connectivity on anyone of the SIM card slots. It is backed by a 2500 mAh removable battery which is rated to give upto 10 hours of talk time and lasts up to 185 hours on standby mode. The RAM and internal storage on this new device are increased to 2GB and 16GB respectively. The Xolo Era 1X with 1GB RAM and 8GB of onboard storage is still retailing at Rs. 4,9999. Talking about the Era 1X Pro, it sports the same 5-inch IPS display with HD (1280 x 720 pixels) resolution as seen on its predecessor. Under the hood is the 32-bit Spreadtrum SC9832A quad-core processor clocked at 1.3GHz. There is also a MicroSD card slot for expanding the storage additionally up to 32GB. The device will be coming with few pre-loaded bloatware apps which decrease the available storage. Connectivity options include 4G VoLTE, Wi-Fi, Bluetooth 4.0, FM Radio, 3.5mm Audio port, and MicroUSB 2.0 port. It measures 145.5 x 72 x 8.6 mm and weighs 145 grams. Stay tuned on Phone Radar for more details about the upcoming smartphones.